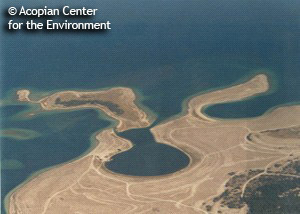 The Environmental Conservation and Research Center was founded in 1992 by Mr. Sarkis Acopian as a Center at the American University of Armenia overseeing research and academic programs. From the very beginning, it was the Center’s aim to protect Armenia’s biodiversity and natural resources through research, education and public involvement. 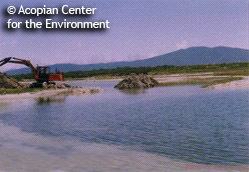 In the autumn of 2008, the Environmental Conservation and Research Center (ECRC) was renamed the Acopian Center for the Environment (ACE) in honor of the center’s late benefactor, Mr. Sarkis Acopian. The current projects cover a wide range of subjects from bird and butterfly research to wild plant species conservation and conservation education. 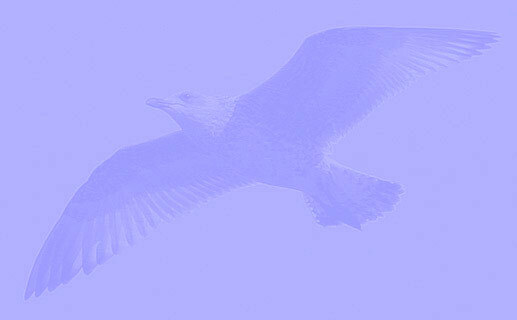 One of the projects is on Armenian Gulls Larus armenicus. The Armenian Gull breeds in Lakes Sevan and Arpi in Armenia. At Lake Sevan it breeds on “Gull Islands” which, as a result of the constant lowering of the water level in the lake, joined the coast, becoming a peninsula, by the end of 1990's. This opened the breeding area to predators and domestic cattle. Predators such as foxes and stray dogs caused much harm to the Gulls by eating their eggs and nestlings. As for domestic animals, they trampled the eggs as they wandered around the island. The island became open to tourists who frightened the birds and raised panic among them. The human disturbances had the most fatal consequences: eggs were getting too cold during the first period of nesting and in the period of mass hatching the frightened birds were leaving their nests. The parents, in their futile search for their nestlings, were pecking the other lost nestlings to death. The only way to rescue the Armenian Gull was to turn its nesting grounds into an island again. For that purpose, it was necessary to remove the isthmus, digging a channel between the island and the coast. Unfortunately, the corresponding government departments didn't take an active part, though they were well aware of the urgent need of isolation of the nesting place. Thus, on 14 May, 1999, the project workers, equipping themselves with the proper equipment, dug an 18 meter wide breach that was 0.8 to 2.3 meters deep, forming a strait between the land and Gull Island. 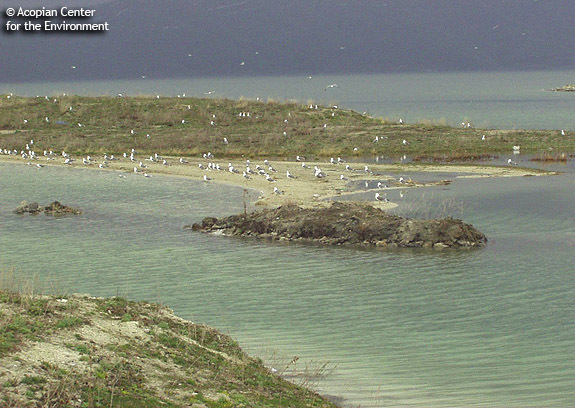 In the same year the Center organized a pilot monitoring program of the nesting place of the Armenian Gull on “Gull Island” which testified that our efforts were not in vain. The eggs and nestlings were saved! As a result, an entire generation of Armenian Gulls was conserved. Each year before the beginning of the nesting season we visit the island and measure the depth and width of the strait in order to determine if we need to step in again. Larus armenicus 1cy November 15 2010, Maayan Zvi eastern ponds, Israel. Picture: Amir Ben Dov. Larus armenicus 1cy November 02 2010, Maagan Michael, Israel. Picture: Amir Ben Dov. Larus armenicus 1cy November 15 2010, Maagan Michael, Israel. Picture: Amir Ben Dov.